NBA Playoffs – Cleveland Cavaliers superstar LeBron James set a new NBA records as the new all-time scoring leader in NBA Playoffs, he surpassed the alleged Greatest of All Time (GOAT) Michael Jordan in Game 5 of Cleveland Cavaliers vs Boston Celtics Eastern Conference Finals best of seven series at TD Garden in Boston. LeBron James came strong in Game 5 with a mission of finishing their series against Celtics and moves on the NBA Finals for another NBA Finals match with the unbeaten team in the 2017 NBA Playoffs the Golden State Warriors for the 3rd straight season. James who scored 35 points, 8 rebounds and 8 assist in only 3 quarters of playing lead all scorer and the Cavaliers in a 135 – 102 win over the Celtics. The most awaited anticipation of LeBron James overtaking Michael Jordan for the record finally happen when James made a 3 point basket in the 3rd quarter with 2:40 to go in the quarter and gave him his 29th points of the game. 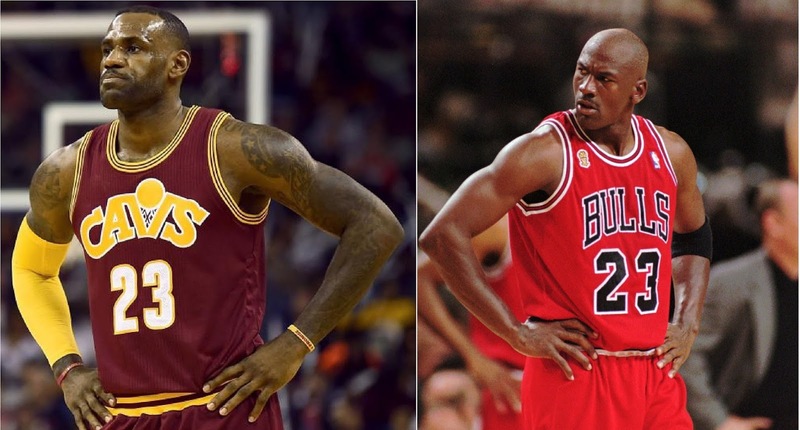 At that time James now hold the all-time scoring leader in playoffs history with 5,989 points while Jordan moves down to solo second place with 5,987 career points in NBA Playoffs. James finished the game with a grand total of 5,995 points and expected to increase in their succeeding games that will happen in NBA Finals. Meanwhile, Michael Jordan who set the NBA records just played only 179 NBA Playoffs games and hold it for 19 years while LeBron James has more games than Jordan with 212 playoffs games. While James add another milestone in his illustrious NBA records will this new milestone hold it for all time? Aside from the record of surpassing the great Michael Jordan, the win against the Celtics also gave LeBron James his 7th straight NBA Finals appearance the most appearances of non-Celtics player in the new basketball era. No Comment to " LeBron James set an NBA Record as All-time Playoff Scoring Leader "